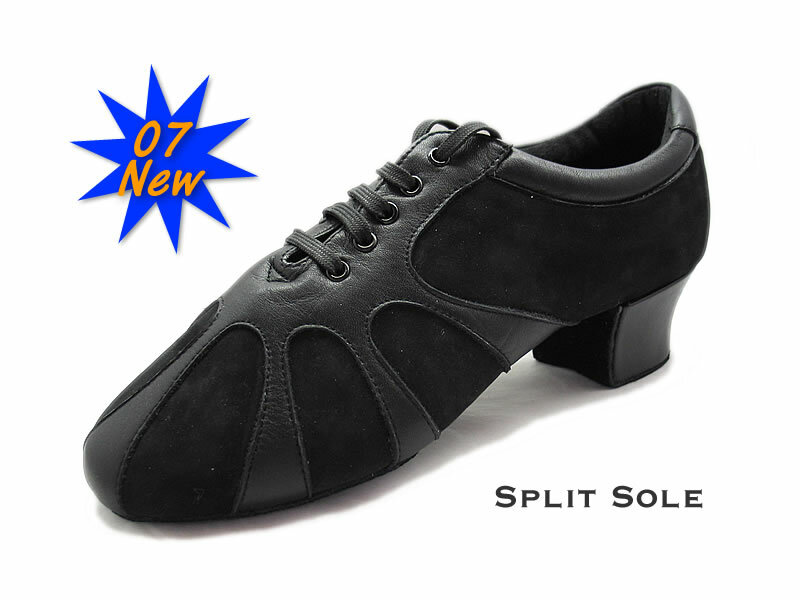 Flexibility, comfort, cutting edge design and versatility are just a few of the many benefits acquired with this Split Sole dance shoe for men. This two tone custom shoe will hug your foot like a glove, giving you solid grounding with the floor like nothing you have ever danced in before. Picture shows in Black Nubuck Leather(S6) + Black Calf Leather(S4).